The court ruling has set a precedent: the departments tasked with protecting the environment have to do due diligence. They have to do more than tick boxes when it comes to looking after the environment. Importantly, the minerals department now has to do the work entrusted to it in the 2014 agreement to give it most oversight over the environmental aspects of mining. South Africa’s environment law has a strange loophole. In theory, every activity that would harm the environment falls under the National Environmental Management Act (Nema) and the Acts linked to it. 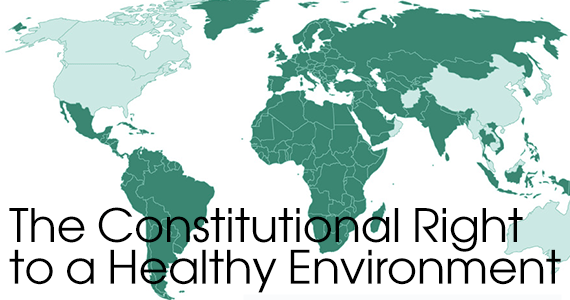 This allows the government to uphold everyone’s constitutionally guaranteed right to a healthy environment. Nema is what should give the environment department teeth. But mining is exempt because of a 2014 takeover by the mineral resources department of most environmental oversight for mining. That department’s mandate is to expand mining to boost the economy. And such an exemption isn’t new; the power of mining is hardwired into the DNA of South Africa’s legal history. It is, after all, mining that created Johannesburg, drove the early economy, made billionaires and gave substance to the stock exchange. But mining also caused the acid mine drainage crisis, gives workers silicosis, creates waste that enters people’s lungs and uses shelf companies to declare bankruptcy when the time comes to pay to rehabilitate the environment, after mining activities damaged it. The 2014 decision was bitterly opposed by civil and environmental groups. They argued that the minerals department would now be the judge and jury, without the skills required to be executioner, when it came to ensuring mines repaired the environment. The Mail & Guardian reported at the time that the 2014 decision was, in effect, giving the minerals department carte blanche over the environment. With the focus on more mines to create more tax revenue, the environment would be exploited with little regard for the negative effects of mining. In that year’s State of the Nation address, then president Jacob Zuma said the move was to streamline “regulatory and licencing approvals for environmental impact assessments, water licences and mining licences”. This was a “very positive development”, he said. Now, far-reaching court decisions are pulling apart the way in which the mining department discharges its job of looking after the environment, and questioning how positive a development this has been. In a stinging rebuke last week, the high court ruled in defence of a wetland in Mpumalanga. This has created a precedent that rights groups say they will use to challenge other cases when mines threaten the environment. The Mpumalanga case goes back to 2011 when the government published a list of ecosystems that were threatened and in need of protection. In 2014, one of these, in southern Mpumalanga, was declared as the Mabola Protected Environment. The wetlands and grassland in the area were classified as “irreplaceable critical biodiversity areas”. Half-a-dozen rivers start in the area, feeding Mpumalanga and KwaZulu-Natal. In 2016, the ministers of mining and environment gave permission for an underground coal mine in Mabola. The mine, Atha-Africa Ventures, is owned by an Indian-based company. Its black economic empowerment (BEE) partner included two cousins of Zuma. The minister’s decision was arrived at without public consultation, which led to eight civil and environmental groups challenging it. Ruling on this challenge, Judge Norman Davis said “there was no transparency in the decision-making process”. This was “disturbing”, given that the beneficiaries of the mine are overseas, and the BEE component is “politically connected”. Critically, the court focused on how environmental protection was ignored by both ministers. Protected areas are the one place in which mines have to get the go-ahead from the environment department, and they require the written permission of the environment minister. In theory, each minister should do their own calculations to see whether the mine has promised to do enough to protect the environment and the people surrounding it. This allows each minister to apply their expertise. In the Mabola case that did not happen. The court ruled that both the environment and mining ministers had looked at permissions granted by other departments, and the mine’s filling out of the right forms, and exercised a “tick-box approach”. That was “simply wrong” and the ministers had “not appreciated their distinctive duties”, the court ruled. These duties are governed by the precautionary principle, which is hammered into South African law. It holds that it is better to be safe and to reject an application for a development than to approve one which could do untold damage. Not taking that into account was, according to the court, “an impermissible abdication of decision-making authority”. In sending the entire project back to the point of consultation with affected citizens, the court concluded that the minister’s failures “would constitute a failure by the state of its duties as trustees of vulnerable environments”. This decision follows a judgment earlier this month by the Constitutional Court in a case between residents of villages that fall under the Bakgatla Ba Kgafela tribal administration, near Rustenberg in the North West, and a would-be mining company. The company, Itireleng Bakgatla Mineral Resources, had reached an agreement with a traditional authority to mine communal land. People were evicted to make space for the mine. About 17-million people live in the former homelands, where tenure is usually controlled by traditional leaders through permission to occupy permits. The residents are meant to be protected by the Interim Protection of Informal Land Rights Act. This Act recognises that most people hold informal land rights and cannot be deprived of them without their consent. This means that mines have to consult residents, through the rural development and land reform department. But companies repeatedly bypass residents by reaching agreements with traditional authorities, with the mineral department’s blessing, which means the department can tick the box for consultation and grant permission for mining to go ahead. But, in the Itireleng Bakgatla case, residents objected and took the case all the way to the Constitutional Court. The court ruled that the department, and mining companies, have to recognise the informal land rights Act and that mining cannot go ahead without the proper consultation of every landowner. Read together, the environmental and land rights judgments are a serious blow to the carte blanche attitude of the minerals department and its mandate to expand mining. Mining companies will now have to consult all residents. The minerals department will also have to do more than tick boxes based on information given by mines when it comes to looking after the environment.